Patanjali author of Yoga Sūtras of Patañjali: The stilling of the changing states of the mind. Gillian Anderso: I mean the whole thing about meditation and yoga is about connecting to the higher part of yourself, and then seeing that every living thing is connected in some way. Self-healing is the privilege of every person. Self-healing is not a miracle and has nothing to do with doing something, being able to do something. Self-healing is a process that develops from the relationship of the body with the infinite power of the soul. It is an engagement, a unity – that is the science of the Kundalini Yoga. - Yogi Bhajan. Terri Guillemets:Warrior pose battles inner weakness and wins focus. You see that there is no war within you. You are on your own side, and you are your own strength. Nancy Hine:...it is one of the few forms of exercise that has been studied separately in relation to depression. Yoga means ‘union’. It is often interpreted as the union of mind, body and soul, and can provide perfect harmony and balance. Yoga (Sanskrit: योग pronunciation (help•info)) is the physical, mental, and spiritual practices or disciplines which originated in ancient India with a view to attain a state of permanent peace of mind in order to experience one's true self. The term yoga can be derived from either of two roots, yujir yoga (to yoke) or yuj samādhau (to concentrate). The Yoga Sūtras of Patañjali defines yoga as "the stilling of the changing states of the mind" (Sanskrit: योग: चित्त-वृत्ति निरोध:). Yoga has also been popularly defined as "union with the divine" in other contexts and traditions. Various traditions of yoga are found in Hinduism, Buddhism and Jainism. In Hinduism, yoga is one of the six āstika schools (accepts authority of Vedas of Hindu philosophy. Yoga is also an important part of Vajrayana and Tibetan Buddhist philosophy. Gurus from India later introduced yoga to the west, in the late 19th and early 20th century. In the 1980s, yoga became popular as a system of physical exercise across the Western world. Gillian Anderson, in Will the Real World Please Stand Up? : A Guide to Everyday Spirituality, p. 54. Sri Aurobindo, in “The Little Red Book of Yoga Wisdom], pp.19-20. Yoga is the unifying art of transforming dharma into action, be it through inspired thought, properly nurtuting our children, a painting, a kindness or an act of peace that forever moves humanity forward. Micheline Berry, in The Little Red Book of Yoga Wisdom, p. 24. Annie Wood Besant, in Introduction to Yoga, Synopsis. Annie Wood Besant, in The Nature and Practice of Yoga, p. 12. For all the practical purposes of Yoga, the man, the working, conscious man, is so much of him as he cannot separate from the matter enclosing him, or with which he is connected. Only that is body which the man is able to put aside and say: "This is not I, but mine." Annie Wood Besant, Introduction to Yoga, p. 18. Self-healing is the privilege of every person. Self-healing is not a miracle and has nothing to do with doing something, being able to do something. Self-healing is a process that develops from the relationship of the body with the infinite power of the soul. It is an engagement, a unity – that is the science of the Kundalini Yoga. Yogi Bhajan, in “The Little Red Book of Yoga Wisdom], p. 20. Yoga Bhajan, in “The Little Red Book of Yoga Wisdom", p. 22. Through practice [of yoga], I’ve come to see that the deepest source of my misery is not wanting things to be the way they are. Not wanting myself to be the way I am. Not wanting the world to be the way it is. Not wanting others to be the way they are. Whenever I’m suffering, I find this “war with reality” to be at the heart of the problem. Stephen Cope, in Will Yoga & Meditation Really Change My Life? : Personal Stories from 25 of .., p. 291. Yoga is defined as a method – the process of nirodha (mental control) – by which union (the goal of yoga) is achieved. Yoga is therefore both the process of nirodha and the unqualified state of niruddha (the perfection of that process). The word yoga (union) implies duality (as in joining of two things or principles); the result of yoga is the nondual state..., or as the union of the lower self and higher Self. The nondual state is characterized by the absence of individuality; it can be described as eternal peace, pure love, Self-realization, or liberation. The ego rules the mind because it links the “I” with the mind and body. If the “I,” which is another name for the self, were not identified with the mind and body, the ego would have no power. Self-study [svadhyaya], therefore, is the set of practices that investigates the nature of the self to discover its origin. When the origin is found to be separate from the body, the ego loses the battle and peace is attain. Samyama, which is the application of concentration (dharana), meditation (dhyana), and superconscious trance (samadhi) in lightning succession, is practiced with the intent to gain specific knowledge of the object of concentration. The object is seen from all sides, in all its aspects, with full depth and breadth. As such, this complete absorption of the mind using the process of samyama brings complete and specific knowledge of the object. This power of knowing is vibhuti. Indian forms of yoga have spread throughout the world due to ...their objectives of promoting health and harmony. Japan is but one of many countries that have received these age-old teachings. While Indian yogic discipline]s (Hatha yoga in particular) have become well known, not everyone realizes that certain distinctive Japanese versions of Indian spiritual paths have evolved. Perhaps the first of these unique methodologies is the art of Shin-shin-toitsu-do, which was developed by Nakamura Tempu Sensei (1876–1968). In fact, Nakamura Sensei is often considered to be the father of yoga in Japan. H.E. Davey, in Japanese Yoga: The Way of Dynamic Meditation, p. 23. The word "yoga" literally means "uniting", because when you're doing it you are uniting your mind and your body. You can tell this almost immediately because your mind will be thinking, "Ouch, that hurts," and your body will say, "I know." And your mind will think, "You have to get out of this position." And your body will say, "I agree with you, but I can't right now. I think I'm stuck. Desikachar, in “The Little Red Book of Yoga Wisdom", p. 20. Yoga does not remove us from the reality of responsibilities of everyday life but rather places our feet firmly and resolutely in the practical ground of experience. We don’t transcend our lives; we return to the life we left behind in the hopes of something better. Donna Farhi, in “The Little Red Book of Yoga Wisdom", p. 22. Regan Gurung, in Health Psychology: A Cultural Approach, p. 366. Bhagawad Gita, in “The Little Red Book of Yoga Wisdom], p. 24. Terri Guillemets, in “The Little Red Book of Yoga Wisdom”, p. 133. Terri Guillemets, in “The Little Red Book of Yoga Wisdom”, p. 134. I am losing balance is a pose, I stretch higher and God reaches down to steady me. It works every time, and not just in yoga. Terri Guillemets, in “The Little Red Book of Yoga Wisdom”, pp.135-36. Melanie Haiken, in “The Little Red Book of Yoga Wisdom”, p. 134. There are many different schools of yoga and also several different aspects, including postures, breathing exercises and meditation....yoga can practiced by people of all shapes and sizes. Nancy Hine, in “The Depression Trap: Ten Ways to Set Yourself Free”, p. 61. BKS Iyengar:Yoga teaches us to cure what need not be endured and endure what cannot be cured. BKS Iyengar:When you inhale, you are taking the strength from God. hen you exhale, it represents the service you are giving to the world. Yoga, ancient and perfect science, deals with evolution of humanity. This evolution includes all aspects of one’s being, from bodily health to self-realization. Yoga means union –the union of body with consciousness and consciousness with the soul. BKS Iyengar, in “The Little Red Book of Yoga Wisdom], p. 22. The feeling in the spiritual heart must be, “ I am not separate from asana, asana is not separate from me, I am asana and asana is me. BKS Iyengar, in “The Little Red Book of Yoga Wisdom”, p. 136. BKS Iyengar, in The Secrets of People Who Never Get Sick: What They Know, Why It Works, and ..., p. 194. You must purge yourself before finding faults in others. When you see a mistake in somebody else, try to find if you are making the same mistake. This is the way to take [[judgmen]t]] and to turn it into improvement. Do not look at others’ bodies with envy or with superiority. All people are born with different constitutions. Never compare with others. Each one’s capacities are a function of his or her internal strength. Know your capacities and continually improve upon them. BKS Iyengar in “Light on Life: The Yoga Journey to Wholeness, Inner Peace and Ultimate Freedom, quoted in “Ann Arbor Rotary Harpoon. BKS Iyengar, in “Light on Life: The Yoga Journey to Wholeness, Inner Peace, and Ultimate Freed]om”, p.xxi. Healthy plants and trees yield abundant flowers and fruits. Similarly, from a healthy person, smiles and happiness shine forth like the rays of the sun. The practice of yogasana for the sake of health, to keep fit, or to maintain flexibility is the external practice of yoga. BKS Iyengar, in Light on Life: The Yoga Journey to Wholeness, Inner Peace, and Ultimate Freedom, p. 24. Geeta Iyengar, in “The Little Red Book of Yoga Wisdom", pp.23-24. God, with the help of yoga, through gradual enfoldment and transformations is seen within the human body as Bliss and then again through yogas that Bliss being concentrated takes the form of a person and teaches the seer yogas. sri jibankrishna, in Jibankrishna (Diamond) the Universal man and his Eternal Sayings - Who is real Saint. Yoga is possible for anybody who really wants it. Yoga is universal.... But don’t approach yoga with a business mind looking for worldly gain. Sri Krishna Pattabhi Jois, in “The Little Red Book of Yoga Wisdom”, p. 22. Yoga is about awakening. Yoga is about creating a life that brings more beauty and more love into the world. John Friend, in “The Little Red Book of Yoga Wisdom”, p. 23. Carol Krucoff:Sun salutations can energise and warm you, even on the darkest, coldest winter day. Sri T. Krishnamacharya:Nowadays, the practice of yoga stops with just asanas. Very few even attempt dharana and dhyana [deeper meditation] with seriousness. There is a need to search once more and reestablish the practice and value of yoga in modern times. Yoga does not ask you to be more than you are. But it does ask you to be all that you are. Bryan Kest, in “The Little Red Book of Yoga Wisdom], p. 23. Swami Kripalu, in “The Little Red Book of Yoga Wisdom], p. 23. What is yoga? The essence of yoga is to withdraw the mind from all external activities, draw in inward, and keep it contained within [laya]. The example of sleep is a way to illustrate the benefits of yoga. However, the withdrawal of the mind from external activities during sleep is due to the influence of tamas [the quality of dullness that clouds the mind]. The inward turning or steadiness of the mind in yoga is due to sattva [the quality of clarity and knowing in the mind]. The steadiness of mind brought about sattva is a thousand times more beneficial than that brought about tamas, though it may not be common knowledge to all. This [steadiness of the mind due to sattva] is yoga-nidra. In fact, all of our time is wasted until we attain such steadiness of mind through yoga. Sri Thirumalai Krisnamacharya, in “The Little Red Book of Yoga Wisdom], p. 21. Nowadays, the practice of yoga stops with just asanas. Very few even attempt dharana and dhyana [deeper meditation] with seriousness. There is a need to search once more and reestablish the practice and value of yoga in modern times. Sri T. Krishnamacharya, in Stress Out: Show Stress Who's the Boss!, p. 9. Carol Krucoff, in “The Little Red Book of Yoga Wisdom”, p. 133. Perfection in asana is achieved when the effort to perform it becomes effortless and the infinite being within is reached.-Patanjali. Asanas bring perfection in body, beauty in form,grace, strength, compactness, and the harness and brilliance of a diamond.-Patanjali. Patanjali, in "Yoga Sutras e-Course". Patanjali, in his classic Yoga Sutra prescribes ethical guidelines, known as the yamas and niyamas. These are not harsh rules, but rather a description of human potential. They offer you a way to live with deeper consciousness, integrity and joy. Patanjali, in "Yoga Sutras Study Courses and Workshops". Yoga is the cessation of movements of the mind. Then there is abiding in the seer's own form. Asanas bring perfection in body, beauty in form,grace, strength, compactness, and the harness and brilliance of a diamond. Patanjali, in “The Little Red Book of Yoga Wisdom”, p. 135. Patanjali, in “The Little Red Book of Yoga Wisdom], p. 24. When right posture (asana) has been attained there follows right control of prana and proper inspiration and expiration of the breath. Patanjali, in “The Little Red Book of Yoga Wisdom”, p. 136. Patanjali, in “The Little Red Book of Yoga Wisdom”, p. 133. Stirum sukham asanam. Meaning: Seated posture should be steady and comfortable. Patanjali, in “The Little Red Book of Yoga Wisdom”, p. 134. Leonard Perlmutter, in The Little Red Book of Yoga Wisdom, p. 20. Patanjali, in East of existentialism: the Tao of the West, p. 266. Patanjali, in Hinduism, p. 63. Patanjali, in Being Consciousness Bliss: A Seeker's Guide, p. 205. Patanjali, in "Being Consciousness Bliss: A Seeker's Guide", p. 205. One becomes firmly established in practice only after attending to it for a long time, without interruption and with an attitude of devotion. Patanjali in Ashtanga Yoga Sutra I.14, in Ashtanga Yoga: Practice & Philosophy, p. 154. Patanjali, in The Heart of Yoga: Developing a Personal Practice, p. 133. Amit Ray: Yoga is the art work of awareness on the canvas of body, mind, and soul. Yoga practice can make us more sensitive to subtler sensations in the body. Paying attention to and staying with finer sensations within the body is one of the surest ways to steady the wandering mind. Amit Ray, Yoga and Vipassana: An Integrated Lifestyle (2012). Amit Ray, Meditation:Insights and Inspirations (2010). Amit Ray, in “The Little Red Book of Yoga Wisdom”, p. 16. Yoga is like an ocean of wisdom, but we have to go inside to see the beauty of it. An ounce of practice is worth more than tons of theory. Erich Schiffmann, in “The Little Red Book of Yoga Wisdom], pp.21-22. Yoga practitioners advise the times around sunrise and sunset, well before eating a meal, as the best time for yoga and meditation practice. The science of biometeorology (the study of natural forces on human and animal life) tells us that the sun has a tremendous impact upon the lives of plants, animals, and human beings. Even our blood chemistry changes with the rising and setting of the sun! Therefore, there may be a chemical basis for the thousands of years of belief, in every spiritual tradition, that to meditate and pray at sunrise and sunset is somehow more effective, more auspicious. Vimala Schneider McClure, in A Woman's Guide to Tantra Yoga, p. 106. 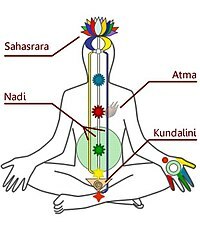 In Kundalini Yoga, there is a multitude of seated asanas. There are many variations to choose from based on physical condition and skill level. Athansios Karta Singh, in “The Little Red Book of Yoga Wisdom”, p. 134. Athanasios Karta Singh, in “The Little Red Book of Yoga Wisdom], pp.22-23. I think the time is right for yoga, We really are living in a very complex time. - a time of great turmoil and change. Yoga is a good antidote to all that...It is almost like music in a way; there’s no end to it. Sting, in Yoga Journal Dec 1995, p. 4. But long before there were airline delays and fancy gyms at every corner there was yoga–the pretzel-twisting system of meditative exercise that is designed to enhance overall well-being. The term which comes from a Sanskrit word meaning “to yoke or join together”, refers to the unity of body, mind and spirit achieved in a successful yoga practice. Gene Stone, in “The Secrets of People Who Never Get Sick: What They Know, Why It Works, and ...”, p. 190. Because the technique was handed down orally from teachers to students, yoga’s precise beginnings are unknown, but it is thought to have originated more than five thousand years ago in northern India. The Yoga Sutras, one of the earliest texts on yoga (it dates from the year around 1 AD), attempts to organize its previously diverse practices into one system based on eight doctrines, or “limbs.” The third, fourth, and fifth of these limbs evolved into modern Western yoga asana, or physical exercises, pranayama or breating techniques and prathyahara or meditation (literally recovering). Two generations ago, yoga was a mysterious Eastern practice few Americans knew much about....Fifteen million Americans now say they include some form of yoga in their fitness regimen, and about 75% of all American health clubs offer yoga classes. Gene Stone, in “The Secrets of People Who Never Get Sick: What They Know, Why It Works, and ...”, p. 189-190. Today more than a hundred types of yoga are practiced. Braver souls try power yoga, which does not pause between poses, or Bikram Yoga, pioneered by Olympic gold medal weight lifter Bikram Choudhury, which takes place in rooms heated to a minimum of 105 degree F. In the United states the most widely practiced yoga is the slow and gentle hata yoga, in t which the instructor takes students through a series of poses while helping them become aware of and change their breathing and thought patterns. NIH (The US national Institute of Health) considers yoga a “form of complementary and alternative medicine”, and physicians sometimes recommend it as an adjunct to conventional treatments for a range of chronic conditions, including asthma, back pain, arthritis. In general, yoga helps the body by; triggering and enhancing the immune system; relieving stress; and massaging the organs. Gene Stone, in “The Secrets of People Who Never Get Sick: What They Know, Why It Works, and ...”, pp.191-92. The connection between yoga and heart disease has been particularly well researched. In 1990, as reported in Dr Green Ornish’s “Program for Reversing Heart Disease”... yoga was found to decrease participants cholesterol and triglycerides. And in 2007, [according to] a study published in the journal “Diabetes Research and Clinical Practice”, yoga could reverse several heart disease risk factors, including obesity, high blood pressure, and high blood sugar. Participants who practiced yoga also developed higher levels of HDL (healthy cholesterol). Gene Stone, in “The Secrets of People Who Never Get Sick: What They Know, Why It Works, and ...”, p. 192. Remember, it does not matter how deep into a posture you go – what does matter is who you are when you get there. Max Strom, in “The Little Red Book of Yoga Wisdom”, p. 135. Yoga is so universal in its principles and so holistically beneficial, it is possible for any person, young or old, religious or agnostic, to embrace and enjoy a practice. Swami Vivekananda:'Vairâgya or renunciation is the turning point in all the various Yogas. The Karmi (worker) renounces the fruits of his work. The Bhakta (devotee) renounces all little loves for the almighty and omnipresent love. The Yogi renounces his experiences, because his philosophy is that the whole Nature, although it is for the experience of the soul, at last brings him to know that he is not in Nature, but eternally separate from Nature. The Jnâni (philosopher) renounces everything, because his philosophy is that Nature never existed, neither in the past, nor present, nor will It in the future. The fire of Yoga burns the cage of sin that is around a man. Knowledge becomes purified and Nirvana is directly obtained. From Yoga comes knowledge; knowledge again helps the Yogi. He who combines in himself both Yoga and knowledge, with him the Lord is pleased. Those that practise Mahayoga, either once a day, or twice a day, or thrice, or always, know them to be gods. Yoga is divided into two parts. One is called Abhava, and the other, [[w:Mahayoga}Mahayoga]]. Where one's self is meditated upon as zero, and bereft of quality, that is called Abhava. That in which one sees the self as full of bliss and bereft of all impurities, and one with God, is called Mahayoga. The Yogi, by each one, realises his Self. The other Yogas that we read and hear of, do not deserve to be ranked with the excellent Mahayoga in which the Yogi finds himself and the whole universe as God. This is the highest of all Yogas. Vairâgya or renunciation is the turning point in all the various Yogas. The Karmi (worker) renounces the fruits of his work. The Bhakta (devotee) renounces all little loves for the almighty and omnipresent love. The Yogi renounces his experiences, because his philosophy is that the whole Nature, although it is for the experience of the soul, at last brings him to know that he is not in Nature, but eternally separate from Nature. The Jnâni (philosopher) renounces everything, because his philosophy is that Nature never existed, neither in the past, nor present, nor will It in the future. Swami Vivekananda, in One Existence Appearing As Many (Delivered in New York, 1896). As every science has its methods, so has every religion. The methods of attaining the end of religion are called Yoga by us, and the different forms of Yoga that we teach are adapted to the different natures and temperaments of men. Swami Vivekananda, in Swami Vivekananda, a Study on Aesthetics, p. 97. Yoga has essentially to do with the meditative side of religion, rather than the ethical side, though, of necessity, a little of the latter has to be considered....This is no child's play, no fad to be tried one day and discarded the next. It is a life's work; and the end to be attained is well worth all that it can cost us to reach it; being nothing less than the realisation of our absolute oneness with the Divine. Surely, with this end in view, and with the knowledge that we can certainly succeed, no price can be too great to pay. 64 Yoginis temple:Patricia Walden: "Vogue" and "Self" (magazines) are putting out the message of yoginis as buff and perfect. If you start doing yoga for those reasons, fine. Most people get beyond that and see that it’s much, much more. "Vogue" and "Self" (magazines) are putting out the message of yoginis as buff and perfect. If you start doing yoga for those reasons, fine. Most people get beyond that and see that it’s much, much more. Patricia Walden, in “The Little Red Book of Yoga Wisdom", p. 24. In The Little Red Book of Yoga Wisdom, p. 134. In “The Little Red Book of Yoga Wisdom”, p. 134. Asanas attune the body to meditation, just as guitar is tuned before a performance. In “The Little Red Book of Yoga Wisdom”, p. 136.